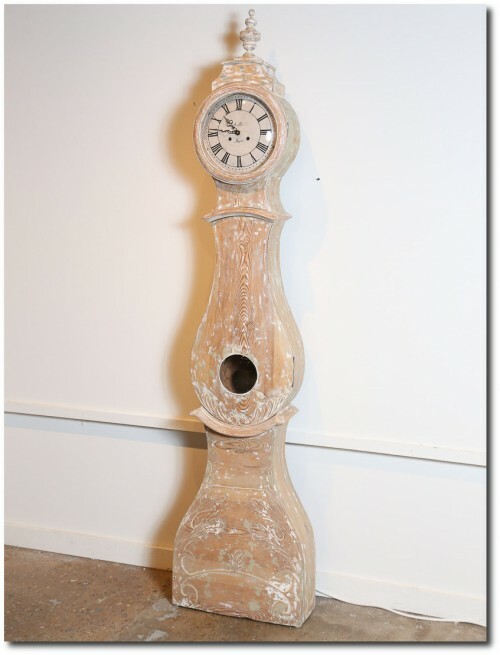 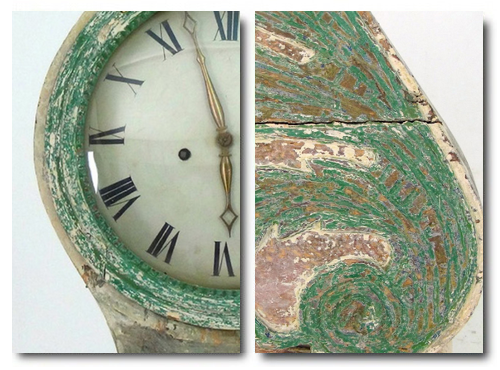 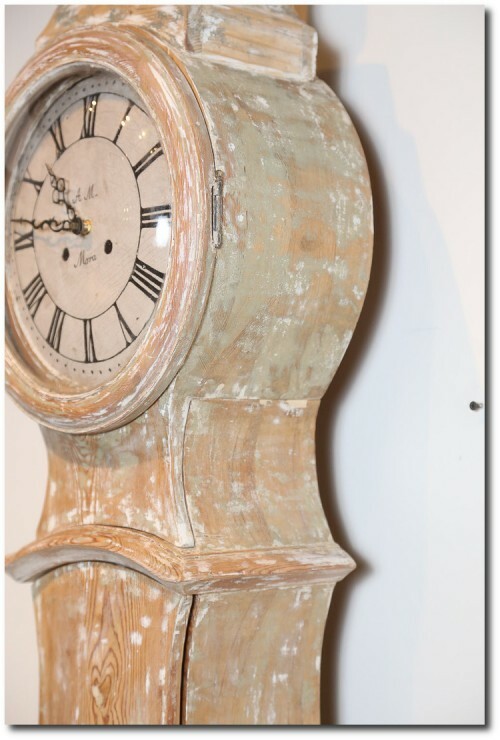 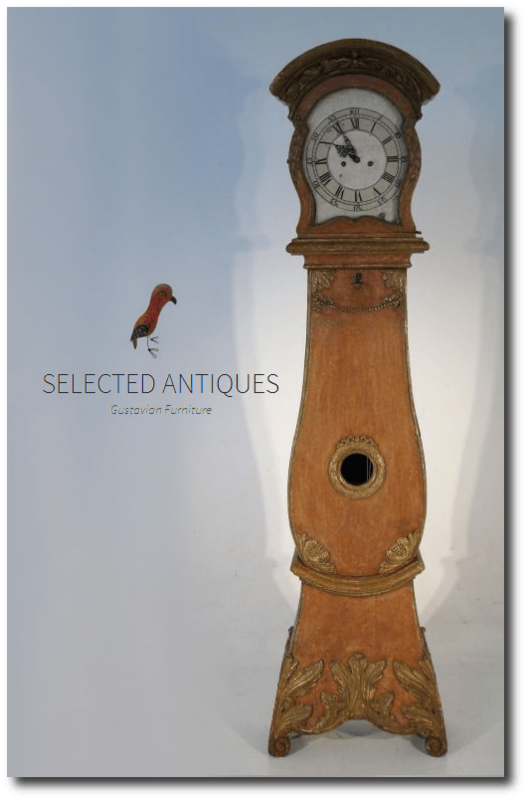 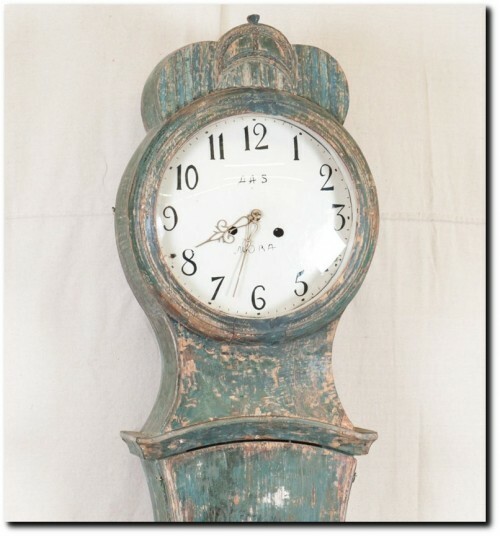 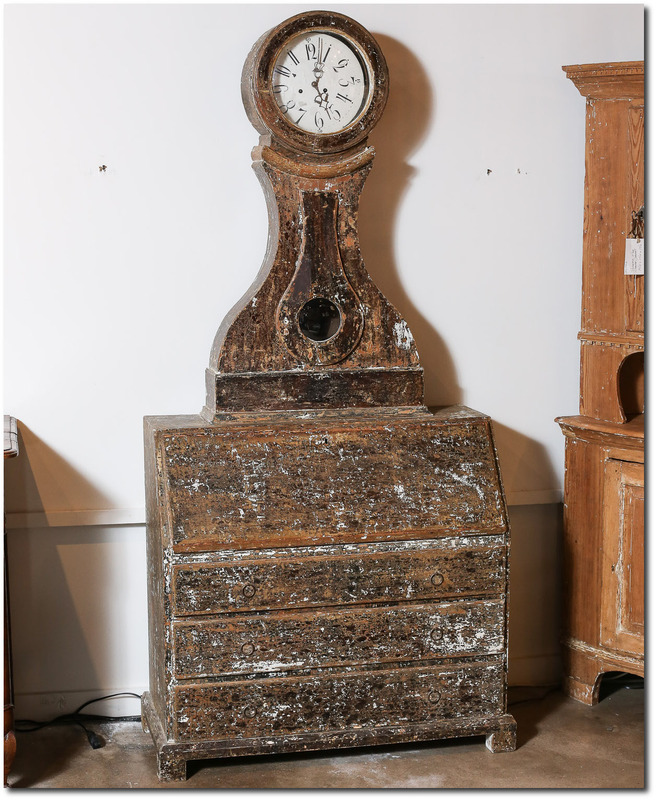 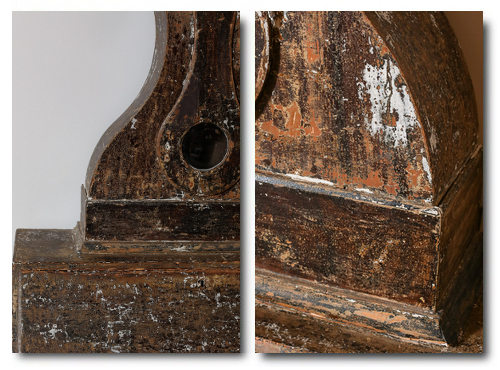 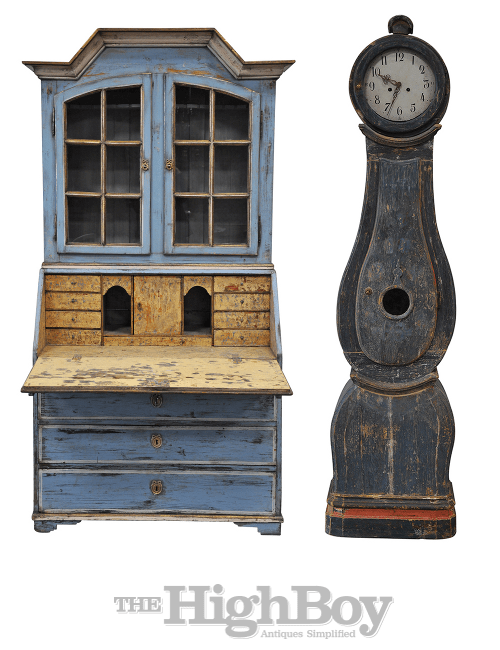 This is a very rare, richly carved Swedish Rococo period grandfather clock that has been scraped down to the original paint. 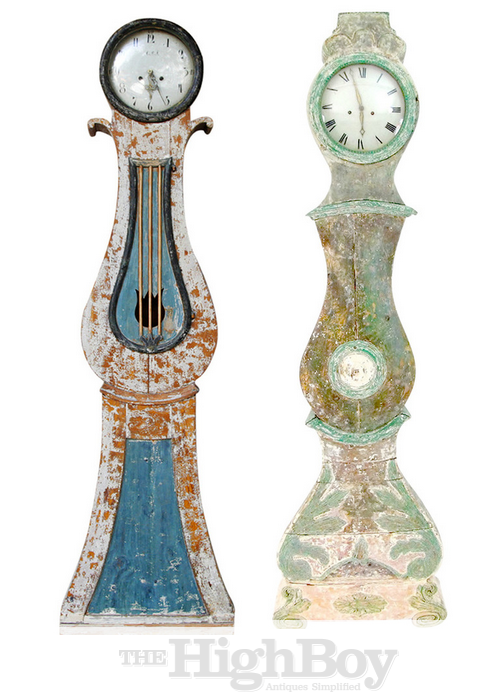 This clock is from Morin, Sweden. 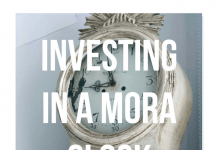 Morin clocks are not as common as Mora clocks (clocks from Mora, Sweden) and therefore more rare. 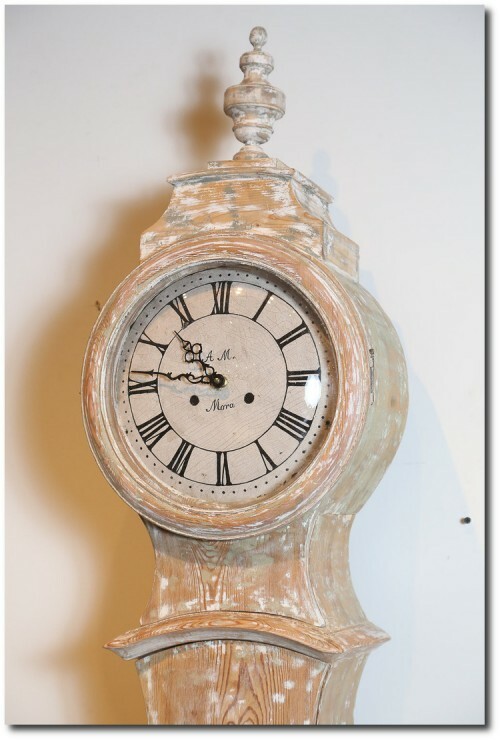 This clock is working and using its original movement, key, weight, face, and glass. Circa 1750. 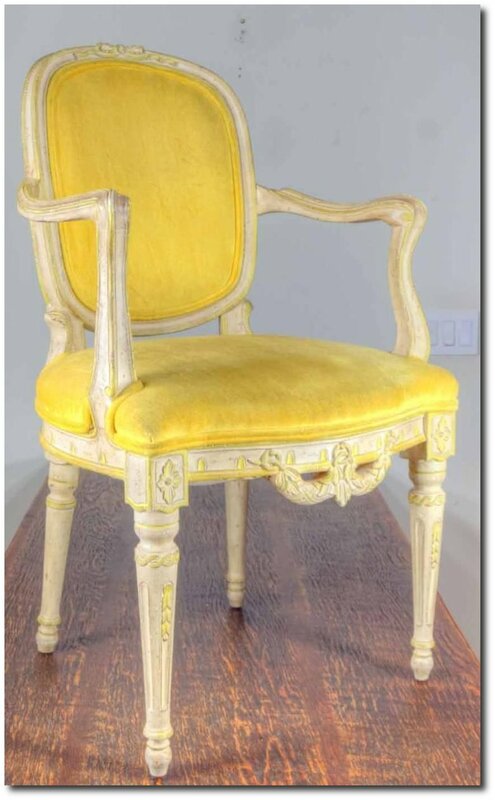 A set of 8 Swedish Rococo chairs made during the Rococo period 1750-1775. Contemporary upholstery in a soft brown vintage leather. 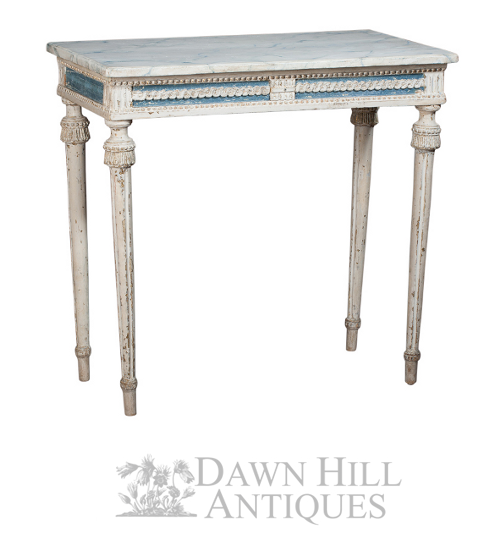 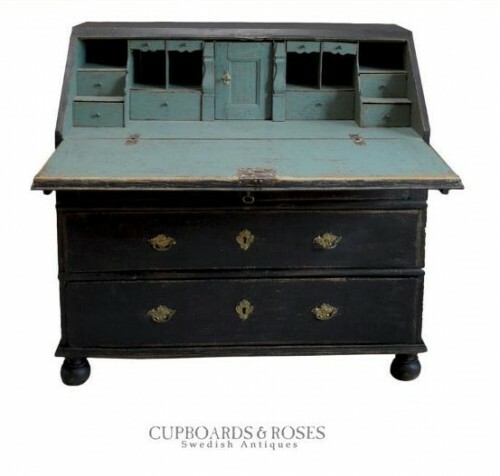 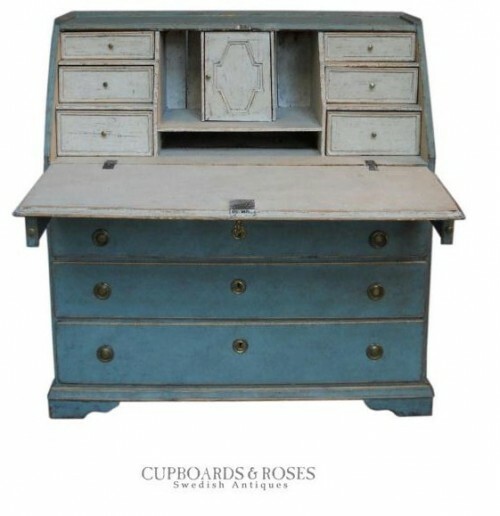 Period Swedish rococo writing desk, circa 1760, with original hardware and secondary blue paint. 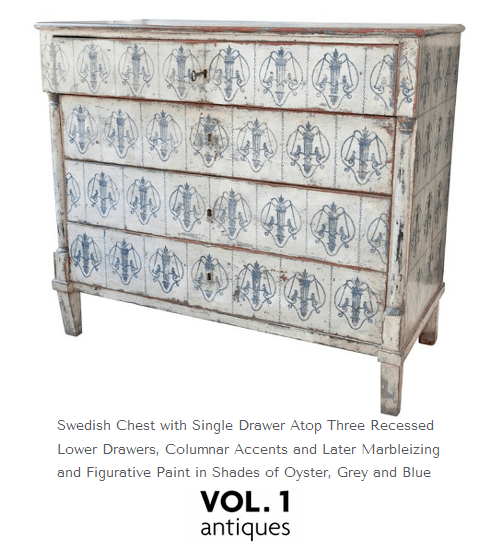 Three drawers in the bowed front with a smaller drawer just under the drop leaf. 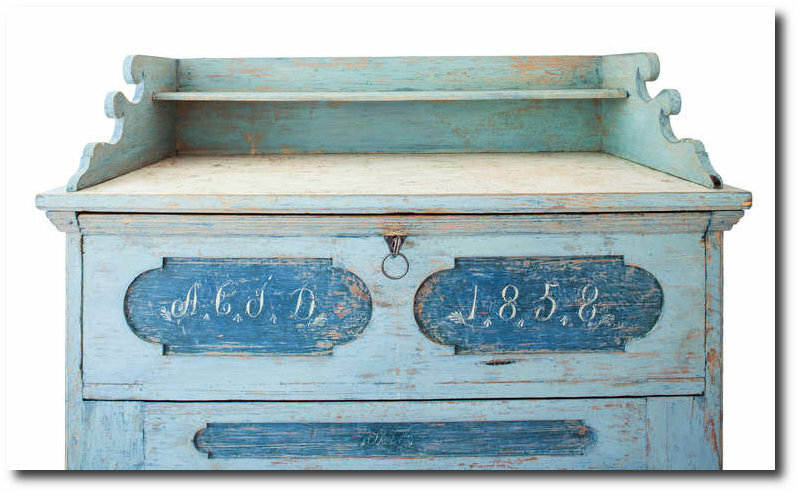 The interior features two banks of three drawers on either side, as well as other drawers and compartments. Original bun feet. 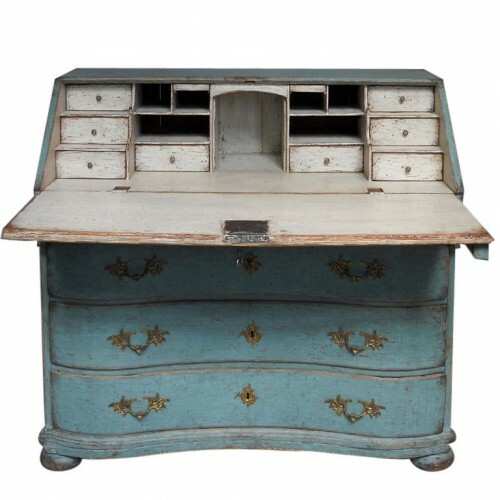 Slant Front Writing Desk in Blue Paint– Sweden Circa 1820 Swedish writing desk, circa 1820, with four graduated drawers under the slant-front. 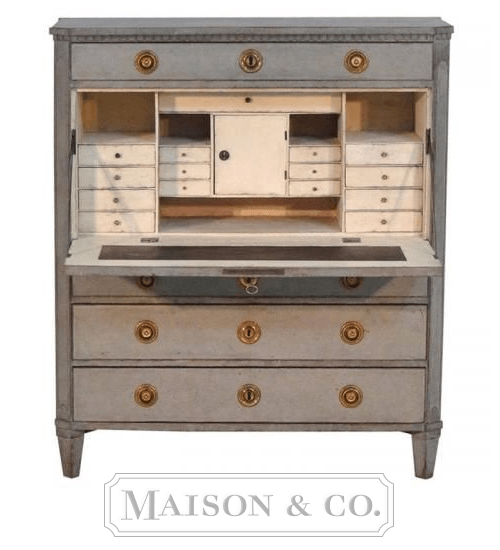 The interior features a central cupboard with lozenge trim and two banks of three drawers on either side. 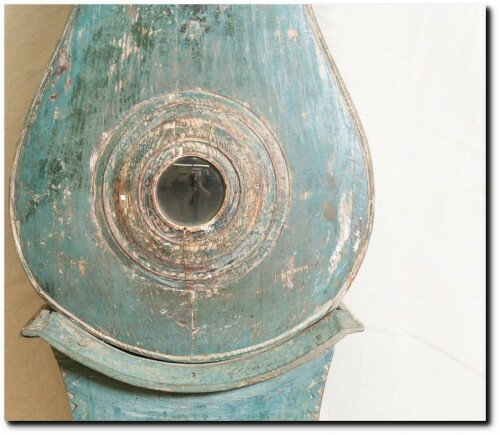 Great patina on the secondary blue paint. 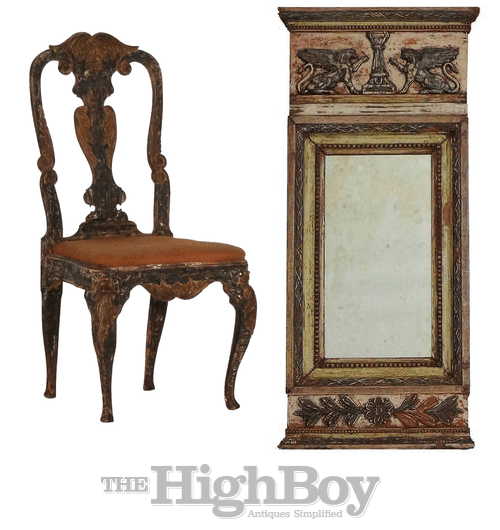 My name is Lucia, I work for The HighBoy. 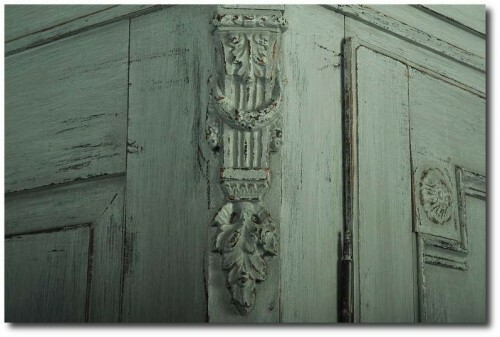 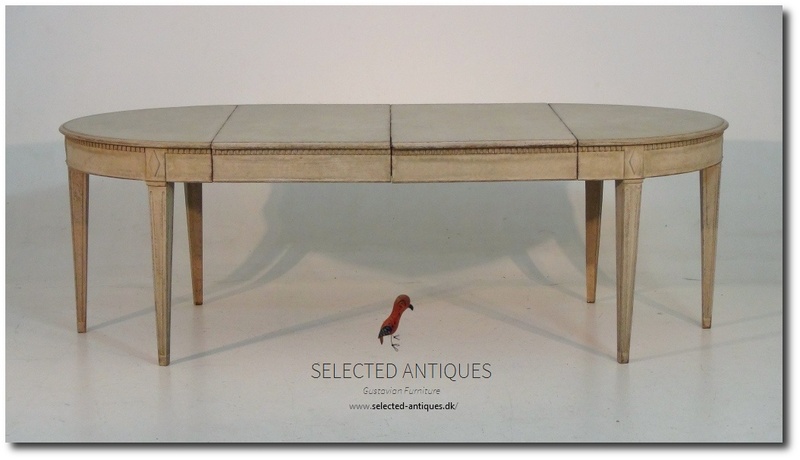 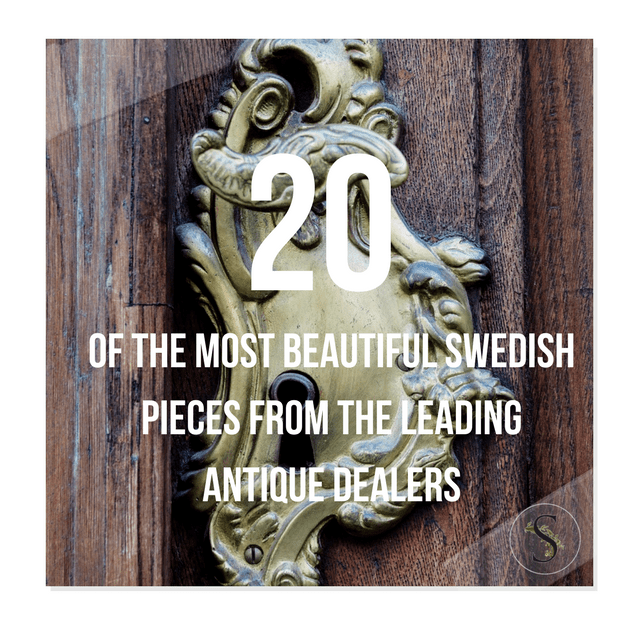 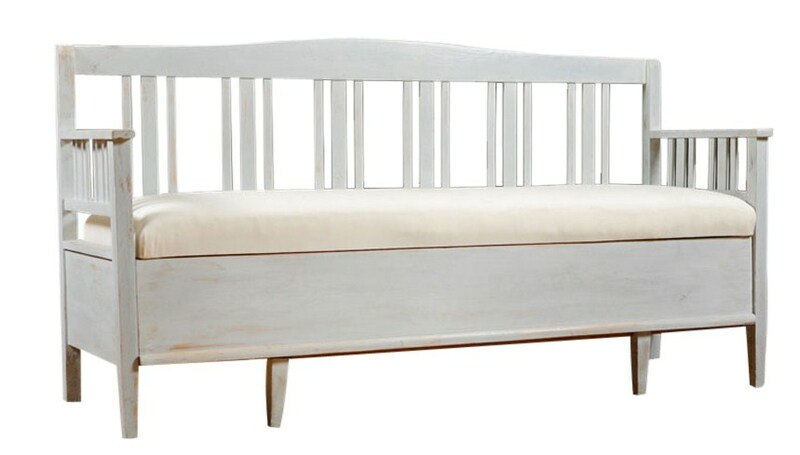 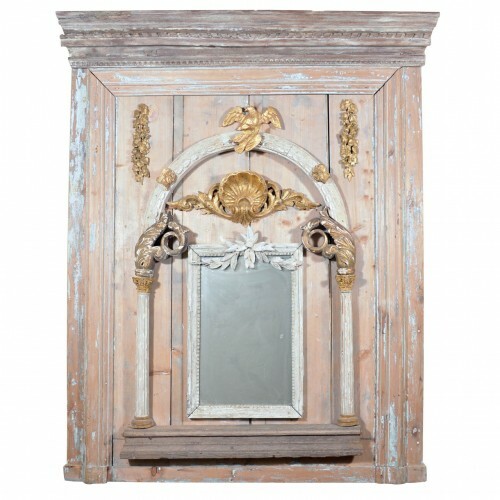 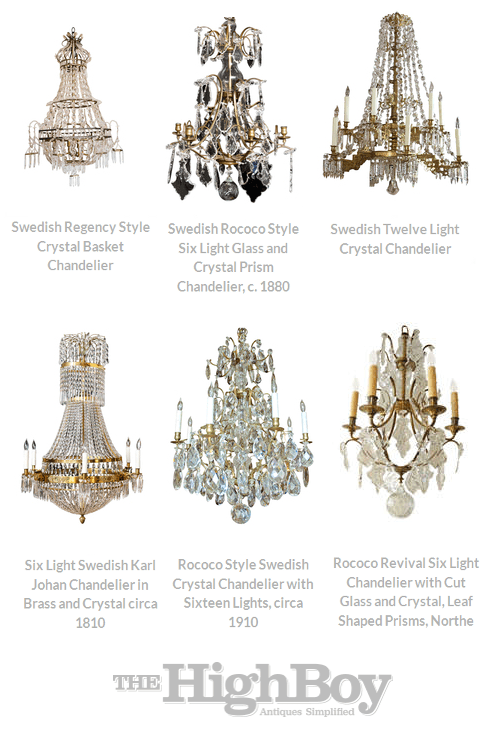 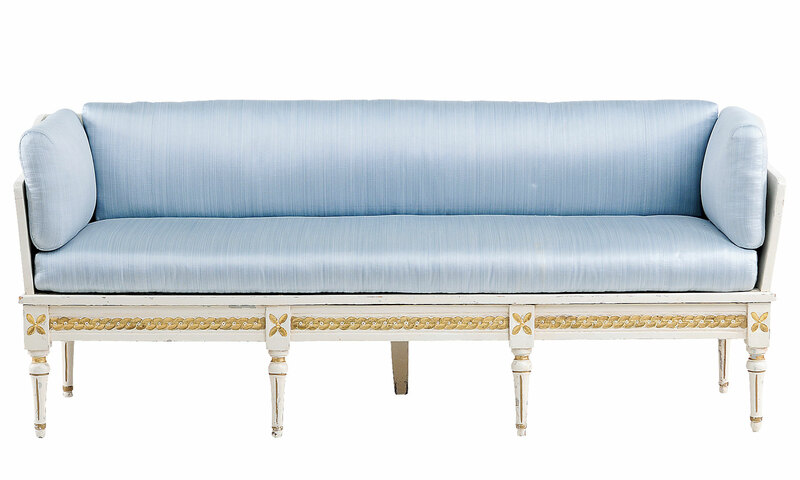 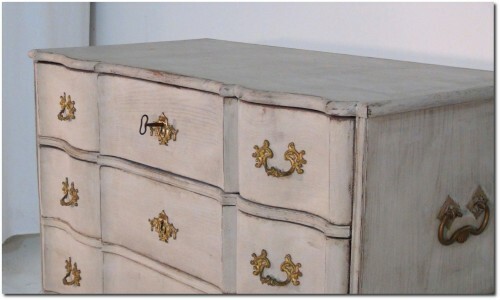 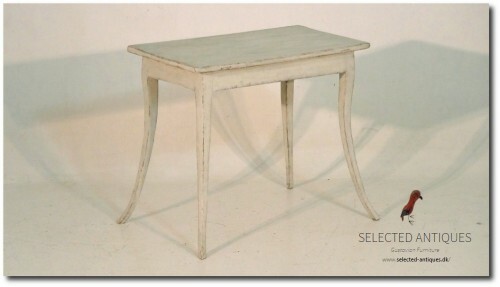 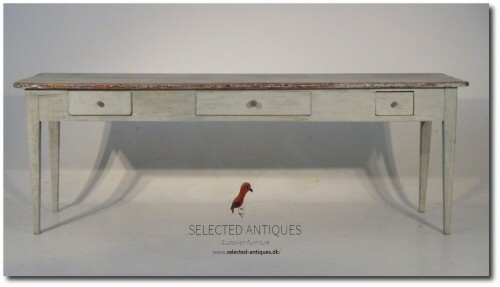 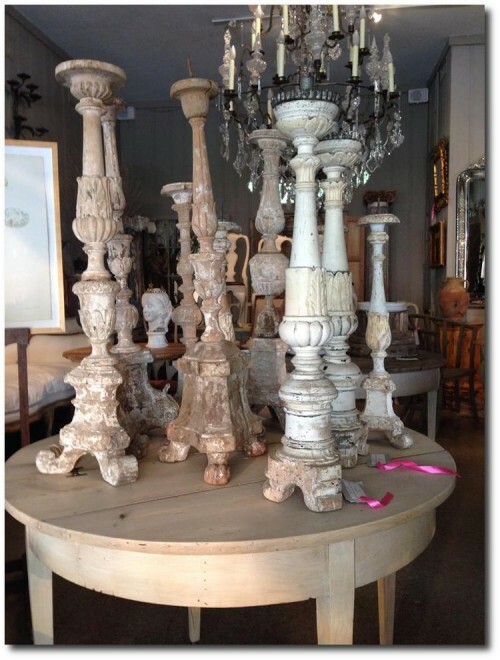 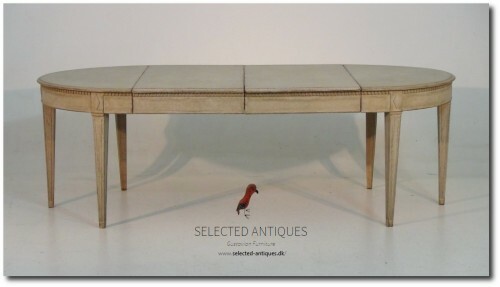 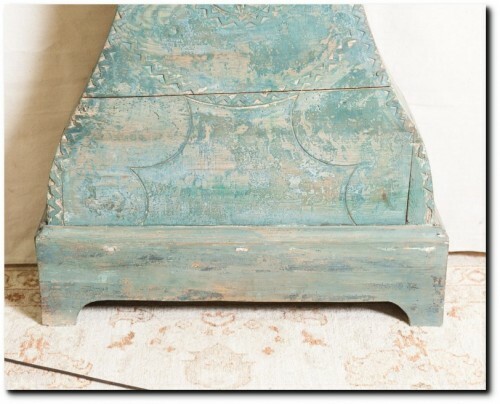 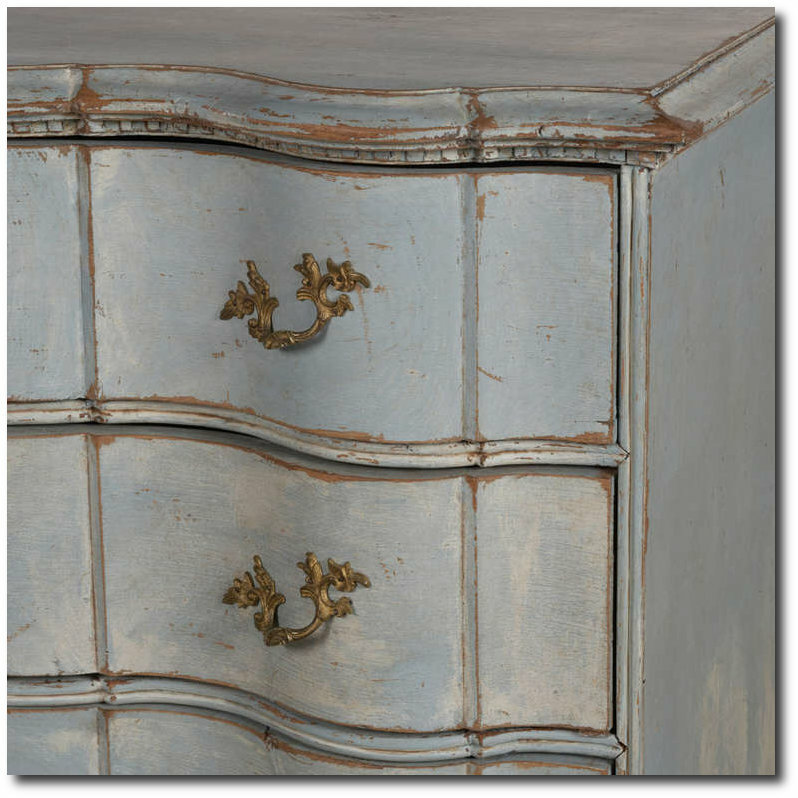 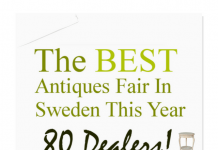 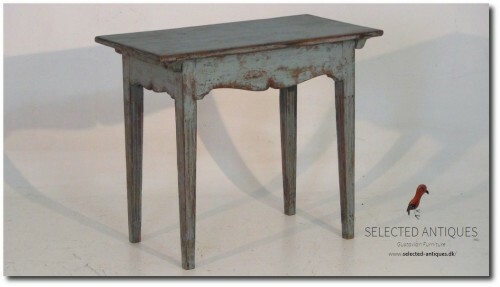 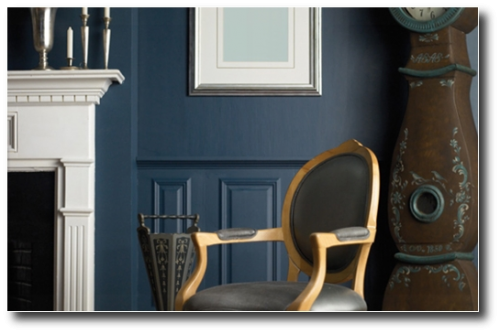 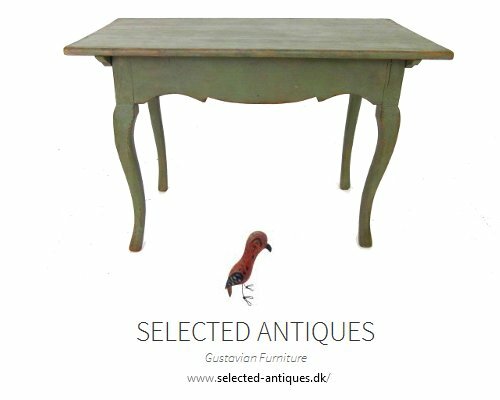 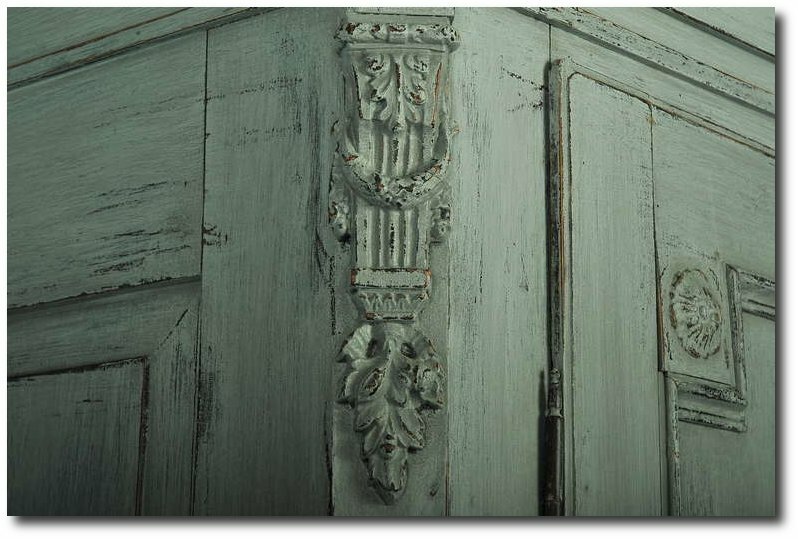 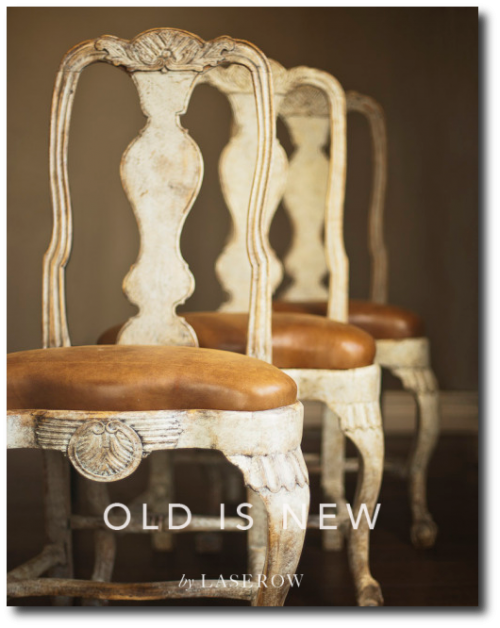 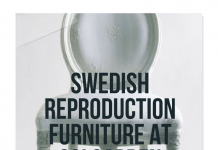 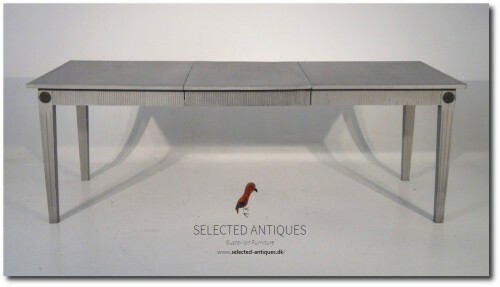 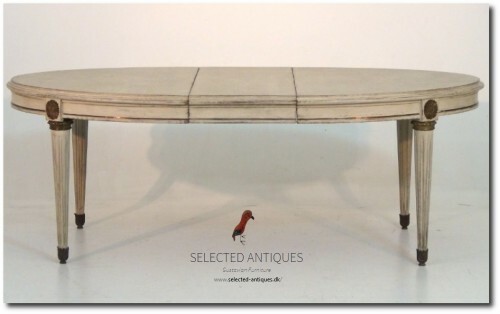 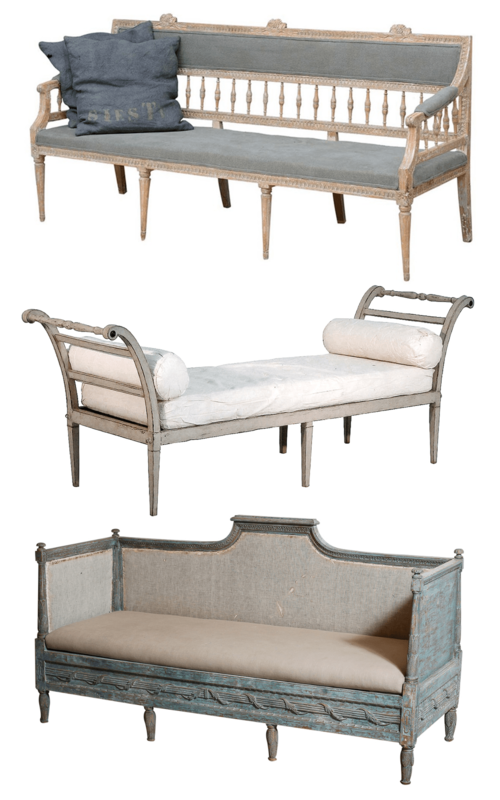 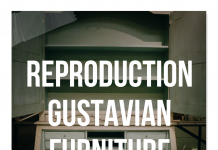 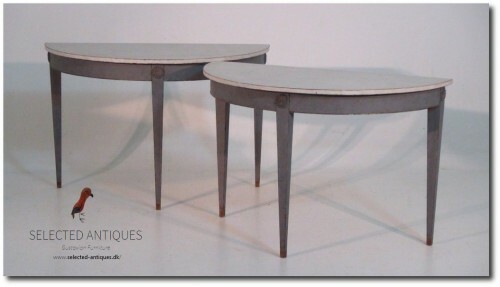 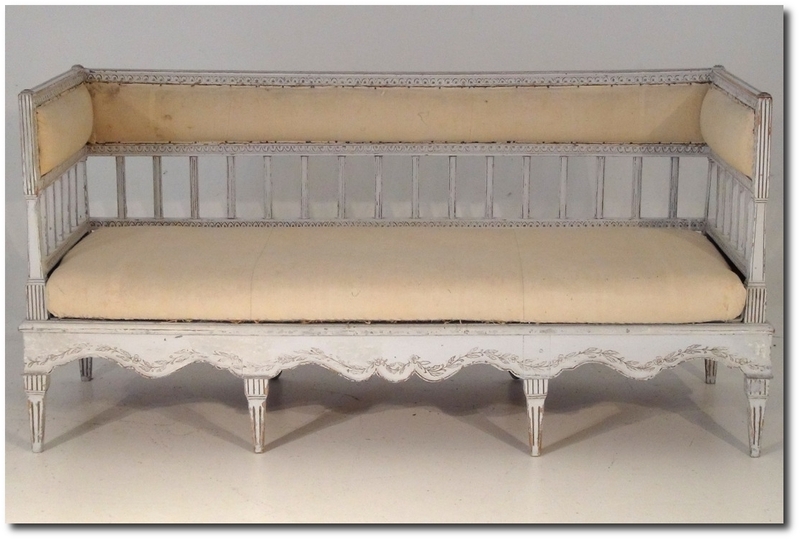 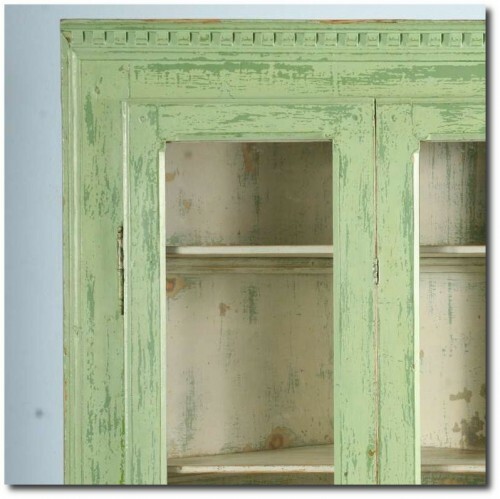 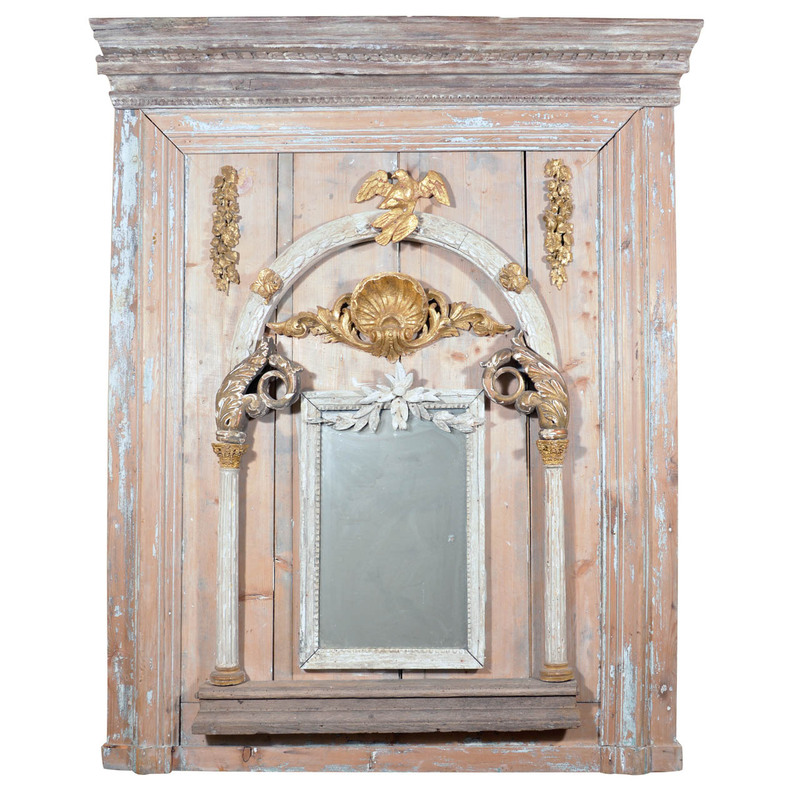 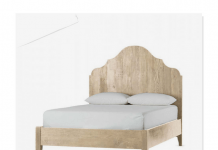 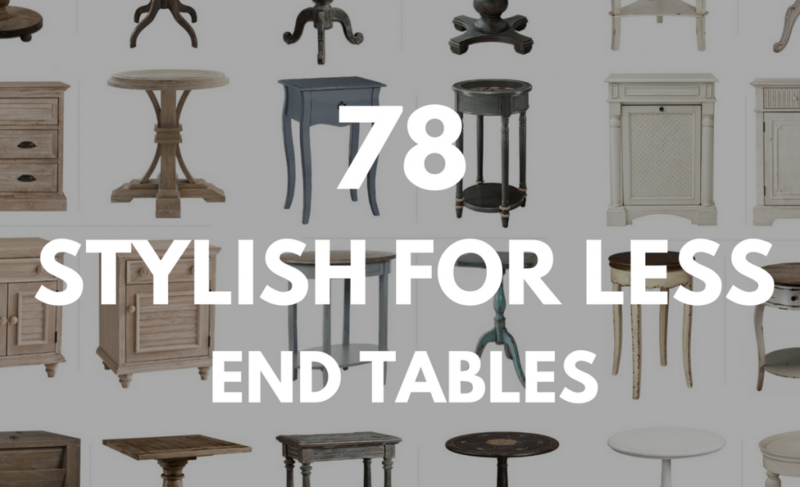 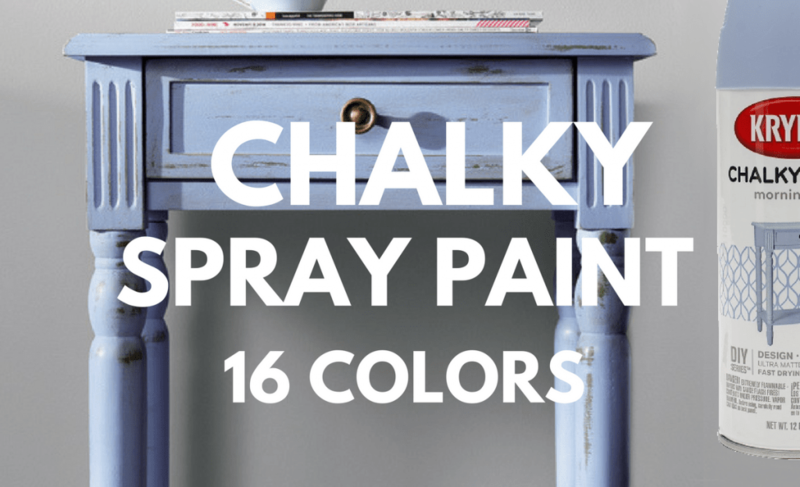 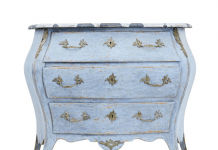 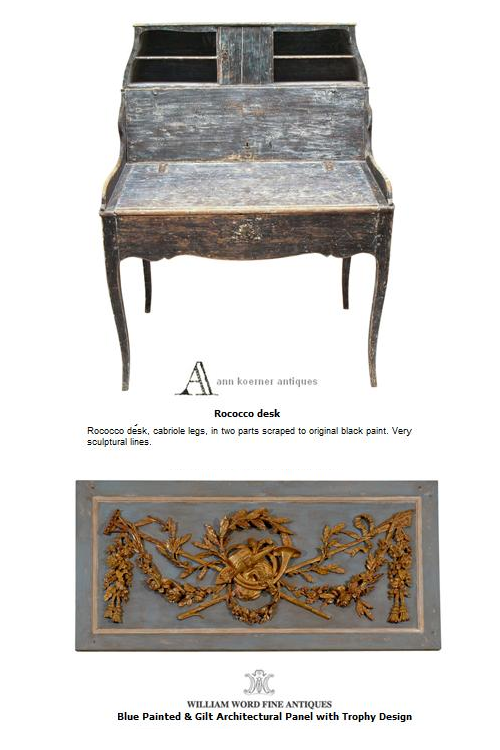 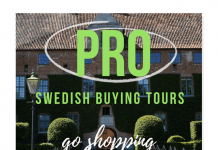 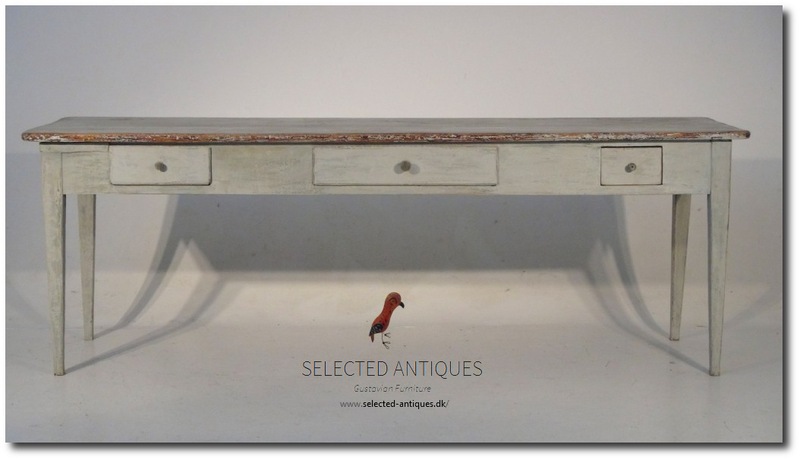 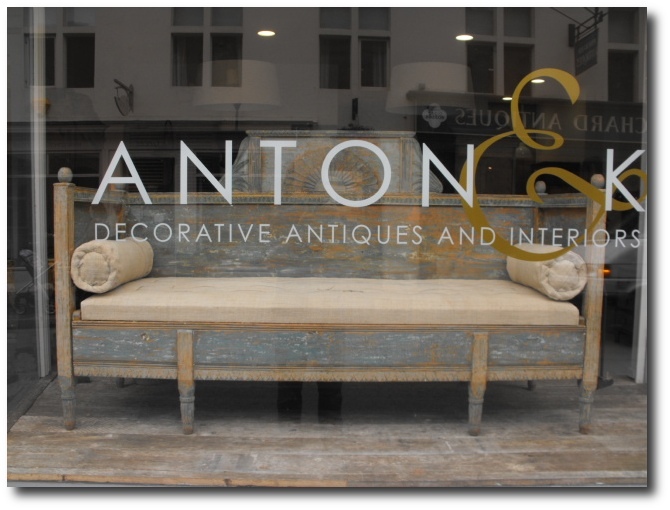 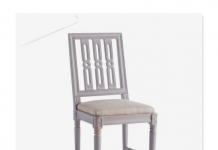 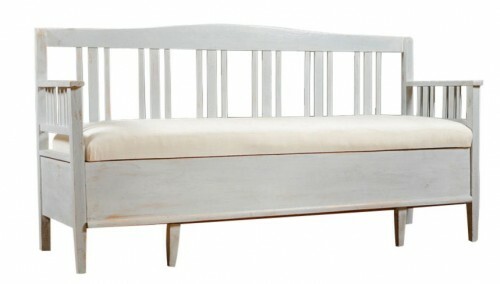 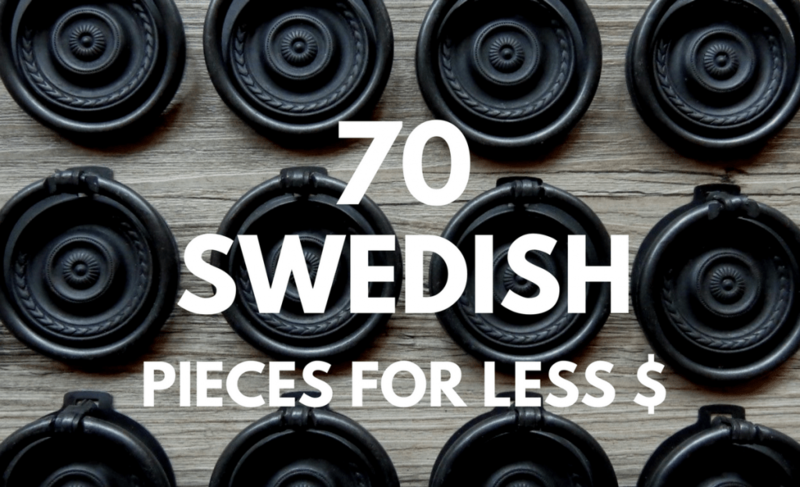 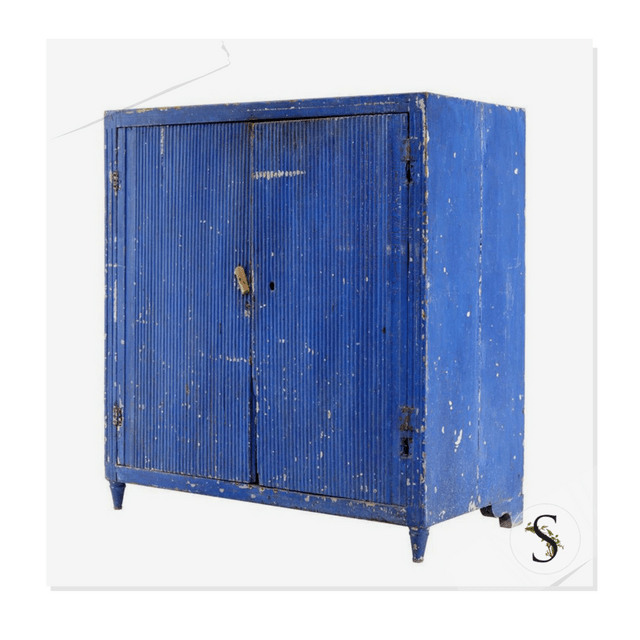 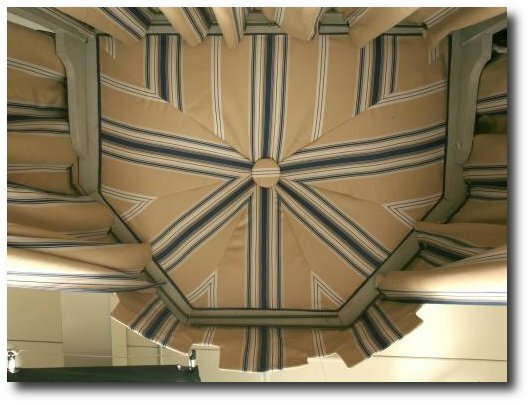 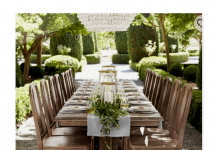 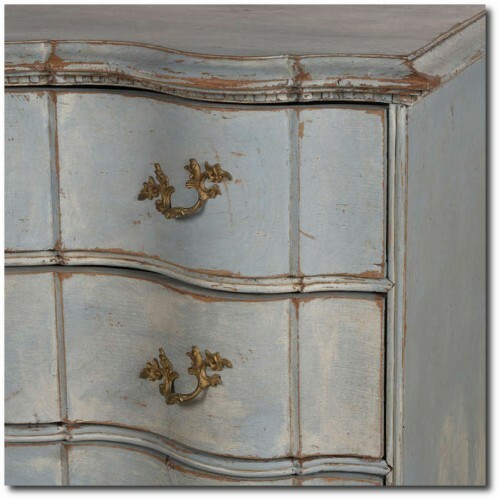 Thank you so much for the great mention on Swedish Rococo and Gustavian furniture! 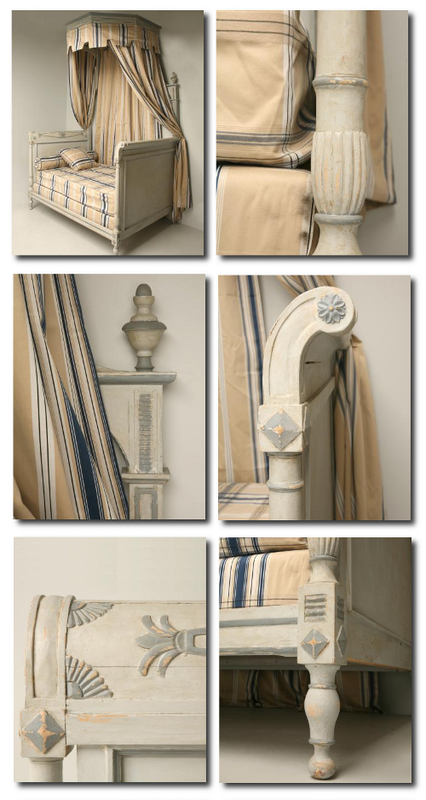 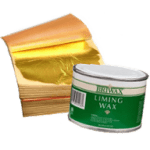 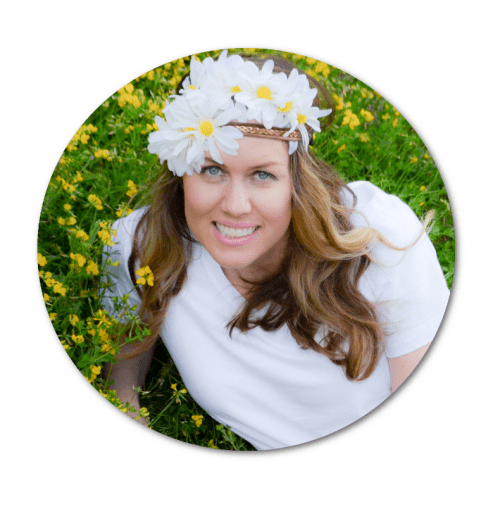 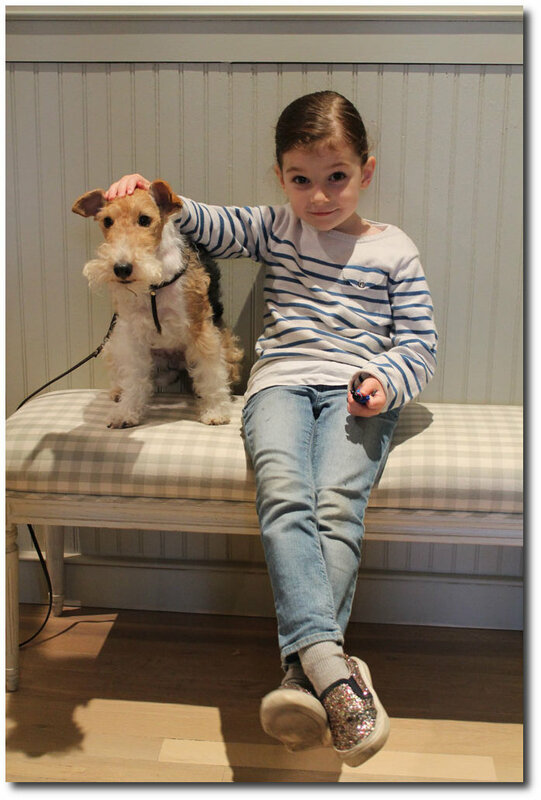 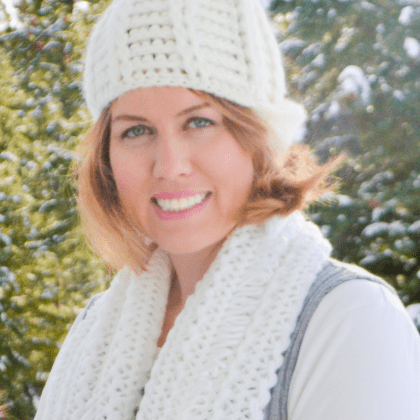 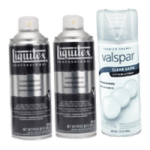 We are glad you are able to share our products with your readers! 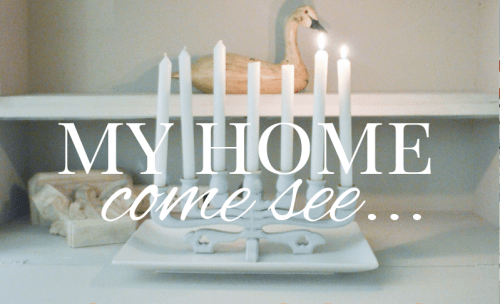 Thanks and have a great rest of your week!